For some gamers of a certain age, the beat 'em up genre is a rather important part of the gaming scene. There may not be many major titles that ask you to walk through an area crudely punching and kicking the snot out of foes, but it still has a certain appeal. This year Wulverblade gave us a stylised fix in the genre, and now Bloody Zombies will bring its spin to the Switch - it's out on 23rd December priced at £10.99 / €13.49 / $14.99. It's a game that brings some genre classics to mind, but also has its own tweaks with 'freeform' combat that evolves as you progress. It also throws in online co-op for four players in addition to the equivalent local options, which is a great feature to have. 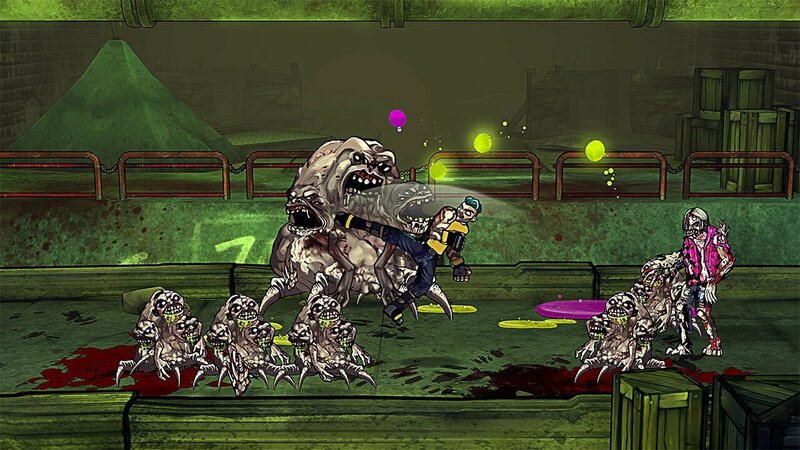 Combine that with the thematic simplicity of beating up a wide range of disgusting zombies, and it's an enticing concept. We had a chat with Dan Sheridan, communications manager at nDreams, to learn more about this one ahead of its release. Can you introduce yourself and your role in the development of Bloody Zombies? My name is Dan Sheridan, I am the communications manager at nDreams. I’ve been working very closely with the development team over the course of the creation of Bloody Zombies, showcasing the game at various events worldwide, sharing news and updates and providing feedback to the dev team on what has been well received and what could be improved. The game has previously arrived on PC and PS4 with VR support. Going back to the beginning of development, was VR part of the initial planning, or did it become a focus after development had started? VR was implemented early in development, however, the intention was to make a game that could work equally on any console or device. The focus of Bloody Zombies has always been on making something that you can play together with others, and a key benefit of VR multiplayer was that it actively encouraged you to work together with people on the TV screen. Funnily enough this similar to what we’ve found with the Nintendo Switch – it’s a console where you want to share your game with others. Based on your experiences at events and any data you may have, how many Bloody Zombies players on PS4 and PC have opted to use the VR mode? We saw a broad range of people playing the game – on TV, in VR, across both, and even switching between the two. We hope to see something similar on the Switch where we feel the game is equally comfortable being played on the TV, handheld or tabletop play modes. At what point did you decide that you wanted to bring the game to the Switch, and what were the main reasons for this? We were discussing the possibility of a Switch release from around the time the console launched. Several colleagues bought the console and whilst we all expected the multiplayer to be great, we were surprised how at home a lot of indie titles felt on the console. It was great to hear feedback from the community that they would love to see this title on the Switch and from that we felt that Bloody Zombies would make a terrific fit. The campaign and core gameplay suits the device and allows gamers to pick-up and play on the go in local or online multiplayer. Can you talk about the process of developing on the Switch hardware, including positives and negatives? The game came together very smoothly on the platform with only minimal challenges to overcome. Nintendo has provided fantastic support, helping us get the game onto the system – overall a great experience. In terms of Switch features, which are the most important for the Bloody Zombies experience? 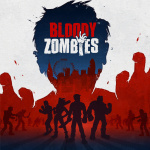 As a co-op game, Bloody Zombies makes full use of the Switch’s flexible controller and play mode options to make playing the game in multiplayer, at home or on the go as easy and painless as possible. Additionally, the game fully supports online and local multiplayer, so there’s that too! Following previous releases on other platforms, has feedback from gamers influenced the Switch port in any way? Following the launch on other platforms, we have made a few changes based on community feedback. 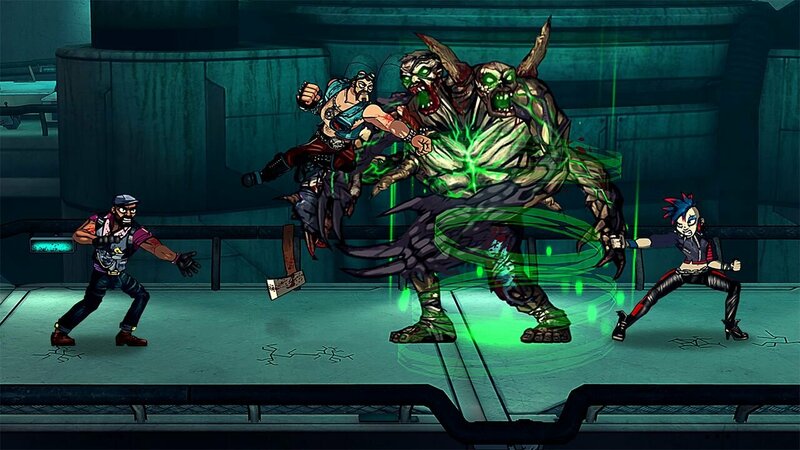 We have implemented an easy mode which is more suitable for gamers who are new to the genre. 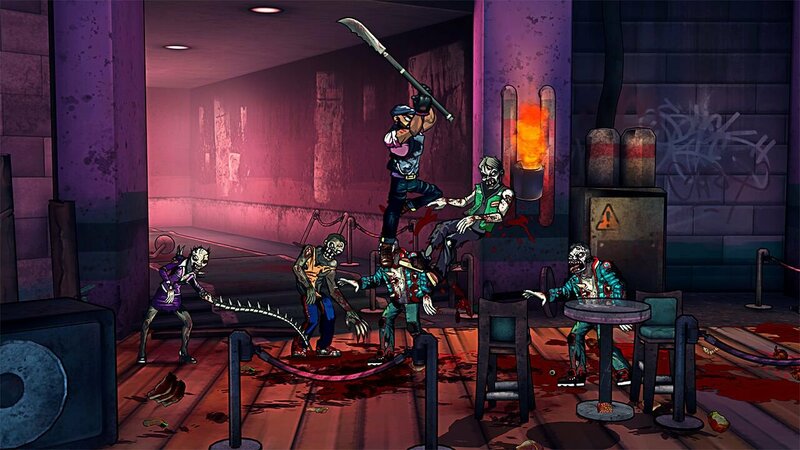 If you are playing with friends the difficulty scales up accordingly and players will notice more zombies and bosses needing a few extra hits to take them down. In addition to balancing, we’ve fixed minor bugs to improve the overall experience. The reaction to the updates has been positive and we hope Switch players will appreciate them too. Co-op is naturally a big focus of the game, and the Switch suits that rather well. How important do you think the accessibility of multiplayer and co-op on the Switch have been to its success? keep growing – not everything supports four players or online yet. There are only a small number of beat 'em up titles on the Switch so far, how notable an advantage is that for your release? You could certainly say we’re lucky to be one of the first brawlers to release on the platform. We’re confident that the core fighting mechanics hold up well to anyone looking for this type of title on the Switch. The freeform combat (simple to learn, hard to master) where you can chain special moves together to create combos, is heavily inspired by genre greats and the variety of enemies and levels in the game gives a lot of substance for players to get their teeth/samurai sword/chainsaw into. Are you optimistic that the game will prove a success with the Switch audience? We’re looking forward to seeing the game's reception given the Switch’s current popularity with gamers. We hope they receive it with open arms and a bloody fist! Based on your experiences with the hardware so far, are you planning to incorporate it into your future projects? We’ll see - this will depend on having the right game which is the right fit for the Nintendo Switch. We'd like to thank Dan Sheridan for his time. Looks fun. I skipped Wulverblade but might have to give this one a shot. Wasn't interested and now I am. Mission accomplished NintendoLife and nDreams! What a nice surprise! Bring me more fighting games and shmups and i will be one happy Shiryu all year long. That's some chunky animation, but the characters are a lot of fun. I saw the words “award winning”. What awards? The metacritic response looks mixed at best. I do not like the visual style. Hey developers: Stop with the marionette animation BS please! I'll be very interested to see how this turns out. Looks like fun, but if the online is garbage, I'll wait for a patch or a sale. Local co-op Should be multi player online. "For some gamers of a certain age, the beat 'em up genre is a rather important part of the gaming scene." Kinda, really, burnt out on the whole Zombie theme at this point, but still might consider this. Does anyone know how big this game is to download? Because I don't want to waste my switch's space, when I could just download it from PSN right now where I don't have to worry about space and it is on sale on psn right now for only $8.99. Reviews are mixed for this game. Some people say it is not as good as Streets of Rage. I think I will purchase it because the online multiplayer is a big plus. I tend to enjoy beat 'em up games and my expectations are never that high for these fun games.